Getting mobile users to pay attention to and engage with an ad can be a challenging prospect. Rewarded video ads are designed to entice people to engage directly in return for something valuable such as in-game currency, while playables can give a taste of the full app experience. Interstitial static ads remain popular, but such is their nature they may not get users to click through, but rather be seen more as a nuisance. There’s another ad format that could be considered though: the cinemagraph. These are still photographs that sit between a typical static image and a video, somewhat like a GIF. A slight and repeated motion takes place in the image, giving the viewer the impression they are watching a video. Compared to short videos, the format produces a small file size and is convenient for those looking for a low cost but eye-catching ad solution. The image can also be presented in high-definition, whereas GIFs are typically low resolution. Cinemagraph ads have been used by the world’s top brands for a while now, including the likes of Armani, Chanel, Coca-Cola, Tiffany and Lincoln, to name a few. 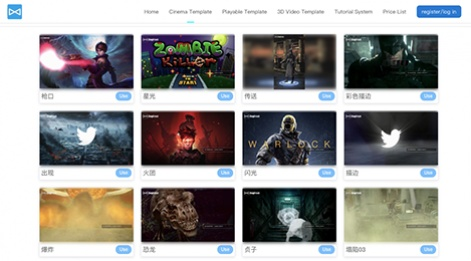 One company providing this ad format for games developer and publisher to utilise is ZingFront, which has launched China’s first SaaS tool for Cinemagraph ads. It supports one-click ad creative production and also offers thousands of creative templates for various industries including games, education and training, lifestyle and social, amongst others. The cinemagraph ad capabilities have been added to ZingFront’s advertising creative platform UnrealFront and such adverts can be created within a few seconds. Use of the platform’s cinemagraph ads are said to have increased click-through rates for advertisers by 46 per cent on average. One user, a real estate rental advertiser, saw a 150 per cent CTR improvement, while an online education advertiser saw a boost above the industry average. Driven by data, technology and innovation, ZingFront offers an automated, intelligent overall marketing solution and aims to continue providing more efficient marketing tools for advertisers in future. You can find out more about ZingFront, UnrealFront and Cinemagraph ads on the company’s official website.